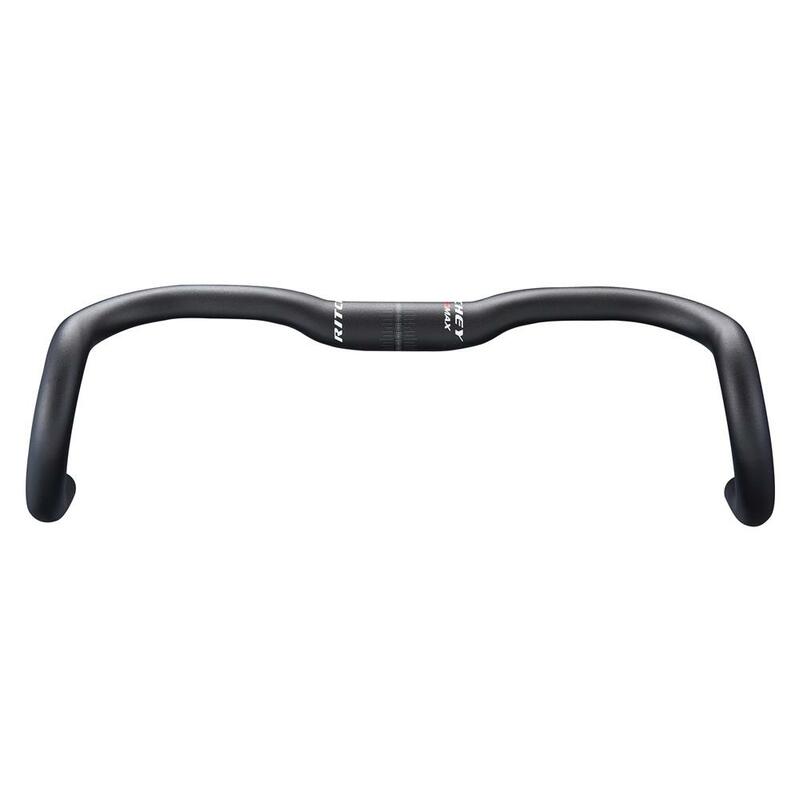 Designed to enhance control and comfort when riding along loose surfaces, the ErgoMax is ideal for a gravel bike since it places the hands in a wider, more stable position while in the drops. The ErgoMax is just as perfectly situated on road bikes that are built for endurance, its ergonomics delivering unparalleled comfort. The bar tops employ a 10mm rise at the clamping area, which offers a slightly more upright riding position. They are then ovalized and have a slight 4-degree rearward sweep to more evenly distribute the weight of the rider's hands and wrists, also putting them in a more natural position. Continuing with an eye towards ergonomics, the ErgoMax also features drops with a nice 12-degree flare to keep the rider's hands in a comfortable and confident position, while also adding a bit more unobstructed stability when turning or sprinting. 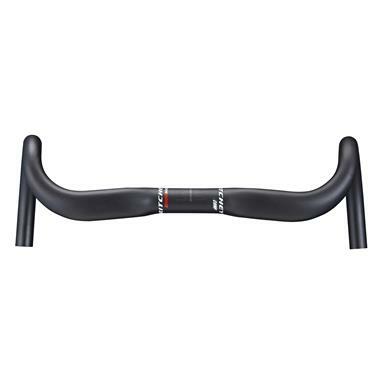 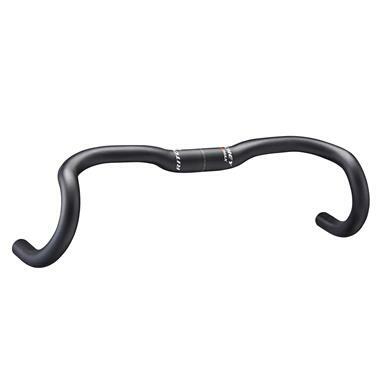 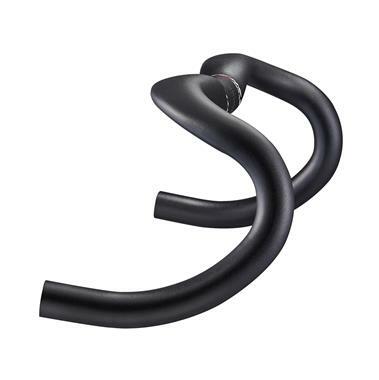 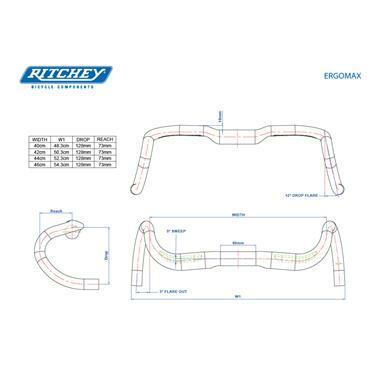 The Ritchey ErgoMax bar delivers more control, welcome comfort and increased confidence when riding gravel, setting out on multi-day adventures or rolling along those long miles of tarmac.